Check out your new and better benefits in Hitch Club! At the start of September, we introduced Hitch Club, our all-new loyalty programme as a one-month beta trial which ends on 30 Sep. The full quarter version begins from 1 Oct to 31 Dec 2018. We took this beta period to collect your feedback and act on them. As such, look out for these improvements to be valid from 1 Oct! New multiplier to accelerate your earning of points! Hitch Drivers working in Downtown Core (DTC) rejoice! All rides to/from DTC area (postal code starting with 01-09) are awarded 2X points. Don’t forget… You get 1.5X points more for weekend rides too! This is how you could earn so much more points with multipliers that help you move up the tiers faster! Too much calculation? Use our points calculator here. New and better benefits coming your way! 1) No-show guarantee to increase from 30% to 50% of original fare amount (valid for Go-Getter and above)2) We have 2 new partners to bring you more savings, while you can expect more in the next few weeks. 2. Looking to groom your car? Save up to 53% on 5 different car grooming packages at KGC Workshop. More info here. 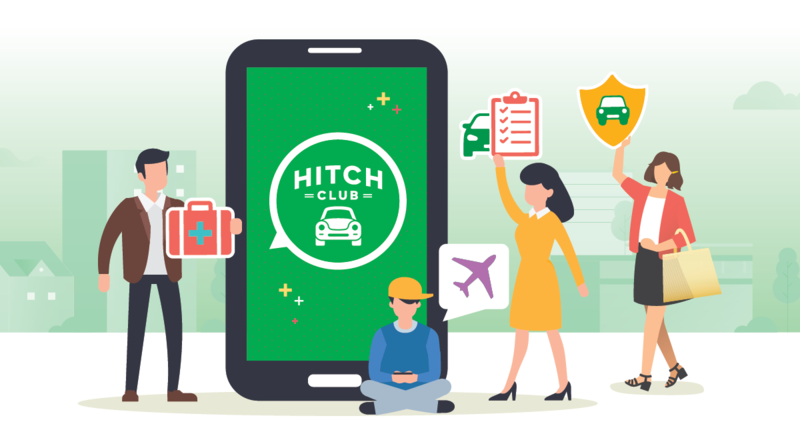 Refer friends to drive with Hitch and they too can enjoy up to $1000 worth of rewards on Hitch Club. For every successful referral, both you and your friend get $20* each. On top of that, you get extra 200 Hitch Club points*. As an October special, get extra $20 bonus if you refer 2 or more friends!